On Friday, May 12, Rush Limbaugh had a very interesting segment on the White House leaks that I think is worth dissecting. Is it to ingratiate themselves to the media? Is it to enhance their own status? Is it to settle scores with other staffers or even the President himself? Is it to maybe even to profit by it somehow? Rush concluded that the leaks were motivated by the pursuit of personal power on the part of the leakers. Do you ever wonder why there were no leaks (or certainly nothing comparable) coming out of the Clinton White House for eight years or the Obama White House? There weren’t even any tell-all books written about the Clinton administration? A couple of FBI agents, but Clinton inner circle? Obama inner circle? Zilch, zero, nada. Not a single leak anybody can remember, nothing of any great consequence. But I think the leaking problem is bigger than an absence of loyalty to Donald Trump. I think it is the absence of loyalty to principles, especially conservative principles. Over the course of my 56-years of involvement in the conservative movement at the national level I’ve been in literally thousands of small group meetings with the leading figures of the conservative movement – and no one leaked. For a decade, I hosted a weekly conservative strategy meeting at my home – and no one leaked. That’s because no one was in the meetings for themselves, we were – and are – committed to a cause greater than ourselves; American exceptionalism, and the preservation of limited constitutional government and individual liberty under God’s laws. If you are committed to ideas and principles, especially big ideas, such as fidelity to the Constitution, American exceptionalism and limiting the power of government verses the individual, you don’t leak and undermine the President, even if you didn’t get a corner office when you think you deserve one. That’s why Obama’s people didn’t leak against Obama. They were – and still are – committed to a cause greater than themselves; radical progressivism and the idea of fundamentally changing America into a socialist country. And the New York Democrats and Republican insiders President Trump brought into the West Wing? 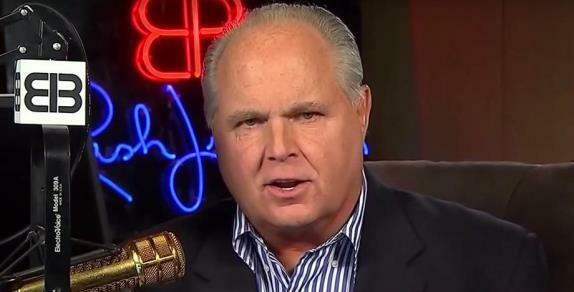 Well, Rush had it right there; the big idea they are committed to is their own personal ambition. However, merely changing the faces in the West Wing won’t stop the leaking. The only way President Trump can stop the leaking is to get rid of the Obama holdovers, and those principle-free staff and advisers who are there only for themselves, and replace them with committed patriots who are there to serve a cause greater than themselves; governing America according to constitutional conservative principles. Submitted by Charles Martel on Thu, 05/18/2017 - 00:14. A significant part of the problem with President Trump's mindset of avoiding ideology and ideologues is that those who are not committed to ideological principles are generally committed only to their self-advancement. They know who holds the real power in Washington DC, and rather than risk an unsuccessful challenge to that power (why would they? ), they seek to ingratiate themselves with it. Without ideological principles, personal loyalty to the President can only go so far.